Amperex 8595 high gain twin tetrode. 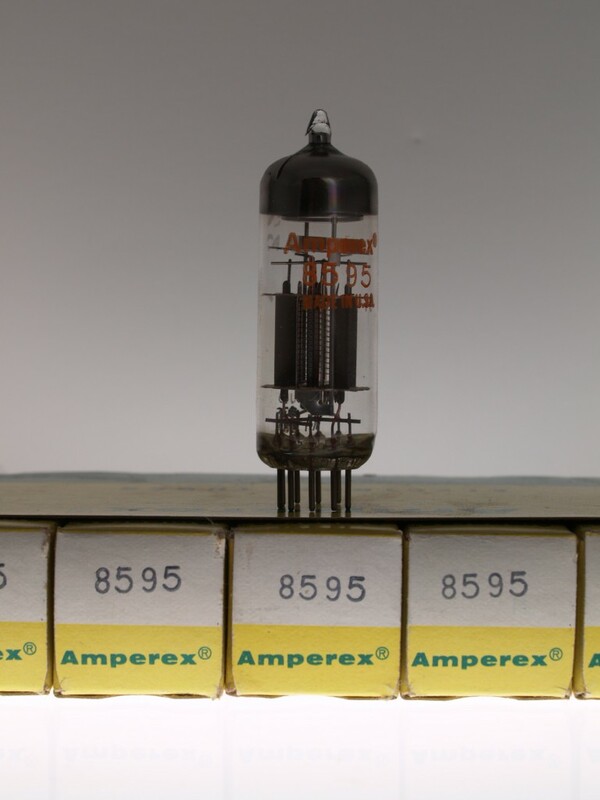 Amperex 8595 high gain twin tetrode for use as a Class C amplifier, oscillator, frequency multiplier and modulator. 6.3v filament industrial version of the 6939.